If you work in retail to any degree, you know all about the importance of keeping a well-optimized distribution center to manage your products and logistics. Especially while staring down the holiday rush, an optimized distribution center can help you get out in front of a lot of supply chain problems and potential sales issues by providing a far smoother supply chain experience. Any major facility overhaul is bound to have a few impacts on your business; increased costs due to new equipment purchases, time spent working on warehouse overhauls, potential loss of productivity due to ongoing projects, etc. Even if you haven’t completely planned out the steps of your overhaul yet, this is a good time to take some preliminary steps to see what you’d have to do to optimize your distribution center and what effect it might have on your business overall. Not every distribution center will need the same overhaul or preparation steps at the same time. Some centers will only need an installation or re-organization of their wire shelving or industrial storage, others may need a bit more of an overhaul and redesign of their shop floor, and still others might need to move into a completely new facility. Take some time and plot out what exactly you need to do before you move into any further phases of planning or acting. This could either be the most fun or most aggravating step depending on how you feel about floor layouts, but after you’ve identified what needs to happen to your distribution center, you’re going to want to make a clear plan of how to make it happen. Contact any needed vendors to help with supplies and layout redesign, set a hard-and-fast schedule for your optimizations (as you really need to minimize the impact this will have on your business), and finalize your layouts and plans to avoid too much re-design or overthinking when it’s too late. 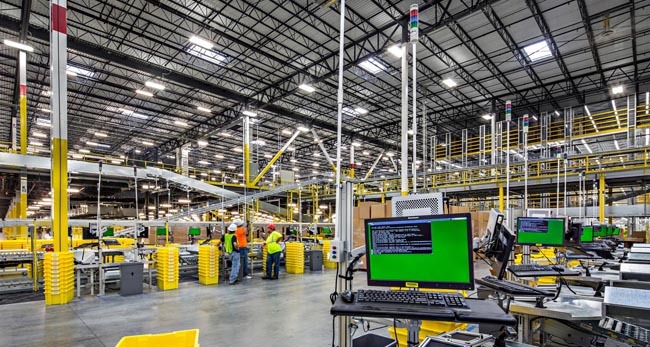 As exciting/distracting/time-consuming as a distribution center optimization might be, you can’t let it get in the way of your daily business operations. There’s still orders that need to be picked and shipped, there’s still customers that need help, there’s still shipments that need to be properly sorted, and even if this all has to happen around the chaos and clutter of a warehouse renovation you can’t let it affect your bottom line. Otherwise, what’s the point of the renovation?